What follows is the last of eight disaster lessons from site. We ask what went wrong and review what we’ve changed in our practices to prevent it from happening again. An archive of the series can be accessed here. The project was built within a cost-plus framework, with a deliberate attempt to create a close working relationship between builder, client and architect. The builder’s and trade costs were open to scrutiny, both prior to and during construction. Particular consideration was given to time. Given the rural location of the project, the builder anticipated he would spread out and concentrate his site days so as to avoid long trips for half days of work. Working days would not necessarily be packed tightly together, though no firm agreement was made for the overall duration of the project. The builder fell into this trap in a big way, with the second half of construction taking more than twice as long as the first half. This was not just a consequence of inactivity: the number of weeks of active work also stretched beyond expectations. It became clear that the builder had underestimated both how many hours it would take him to build the project, and how quickly he could attend to those hours. For a builder, pouring concrete, erecting timber frames, laying roof sheeting and installing cladding are easy. Not technically easy, but easy to coordinate and manage. They require lots of consecutive hours, meaning staff can be lined up and let loose for days on end. By contrast, hanging doors, installing flashing, laying tiles, and fitting off lights are hard. They are the opposite of the big trades that begin a project: they are fiddly and bitsy, needing a few hours here and a few hours there. They are also far less lucrative, demand the skills of specialist trades, and offer much less room for error. For our builder, who was trying to line up whole days of work in his schedule, such days became increasingly difficult to find as the project neared completion. So the time between them stretched out, whole weeks passing between visits. The beginning of any project is smooth sailing compared to the end. Everyone loves a beginning: spirits are high, progress is rapid and the early trades look great as the entire building rises up out of the ground. Finishing is hard. Technically and psychologically, getting from 90 to 100% requires discipline and commitment. The standard building contracts used by architects, the ABIC suite, includes both transparency for the time taken on a project, as well as disincentives for late delivery. These help to counteract the psychological hurdles that are thrown up at the end of a project. Cost plus contracts by their very nature are much looser. Since they are primarily used when the full scope is unknown at time of commencement, how can a deadline possibly be enforced? The lesson we learnt was never to undertake a project without a thorough and realistic analysis of the time it will take, incentives for delivery on time and penalties for delivery late. Jointly published by the Australian Institute of Architects and Master Builders Australia. I use the term penalty loosely here. Contract law cannot enforce penalties, only the courts can do this. Liquidated damages instead require the builder to cover any costs the client will reasonably incur e.g. rent, storage costs and architectural fees. 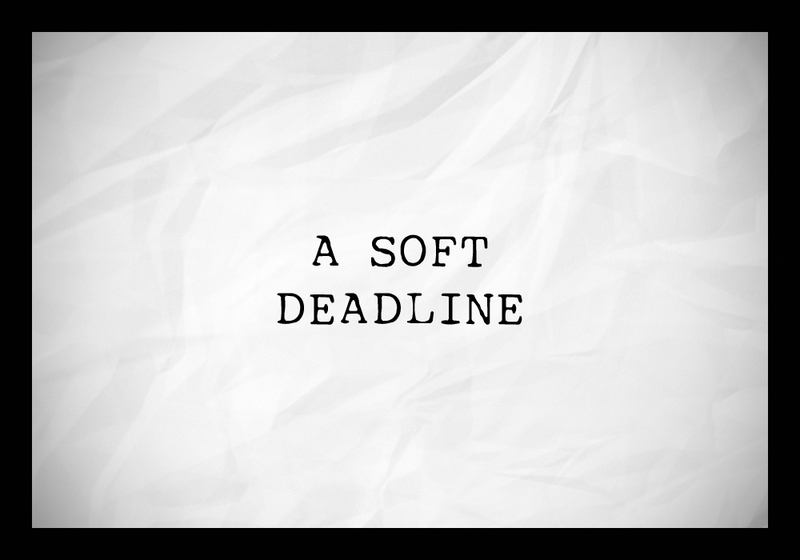 A soft deadline, author’s own image.